The 48" Stanton Single Bath Vanity makes an appealing addition to any bathroom that needs a modern makeover without going overboard. 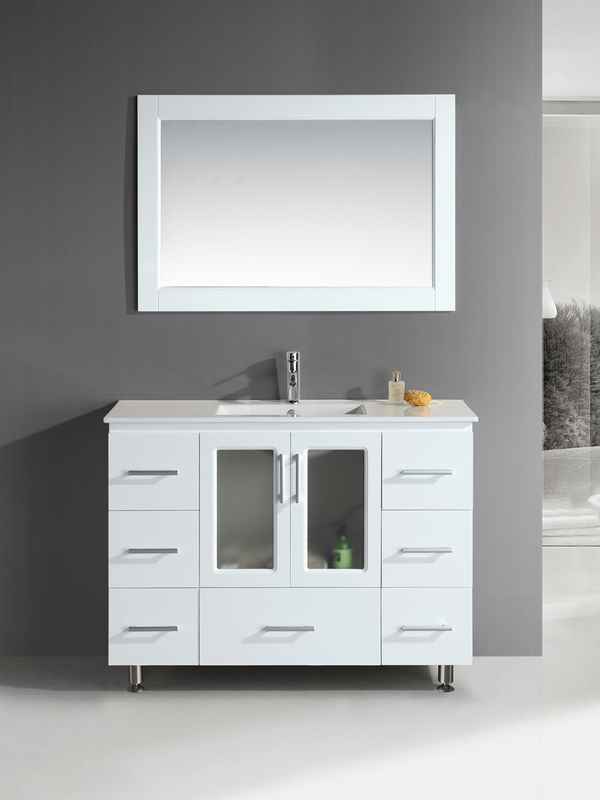 This beautiful vanity is constructed from solid oak and finished in a fresh, clean White finish. From its white porcelain countertop to its seven drawers and single cabinet, this vanity sports ample storage space for all of your bathroom essentials. The sink is seamlessly integrated into the countertop, with a lustrous chrome faucet and pop-up drain included with the vanity. 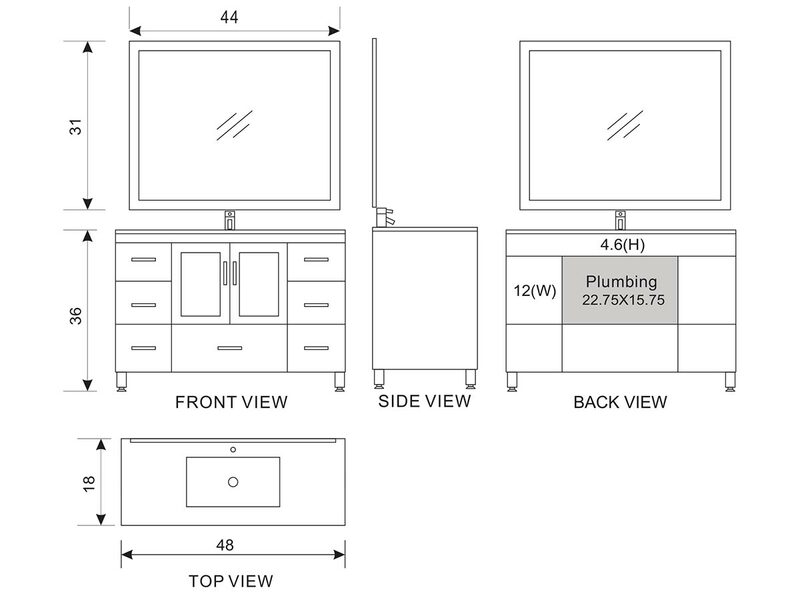 A matching hardwood frame mirror is also included, making this single vanity the complete package.